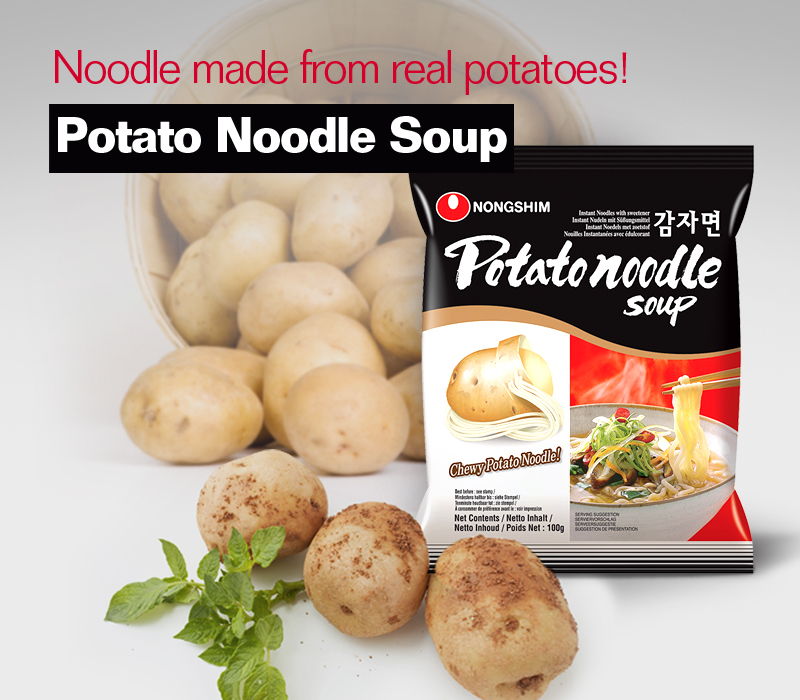 Potato Noodle Soup contains real potato which accounts for more than half of the noodle content ratio. This is why its noodles are so smooth and chewy. The soup is clear and pepper, instead of chili, brings out its attractive light spice. This is not fried but dried with hot air after steaming. Steamed noodles or Hot air dried noodles are dried through the hot air drier for about 30 minutes. Compared with fried noodles, the cooking time is longer but the oil content is lower and it gives clean taste. The chewy noodles of Potato noodle soup comes from the potato content in the noodles. The broth tastes spicy and light. 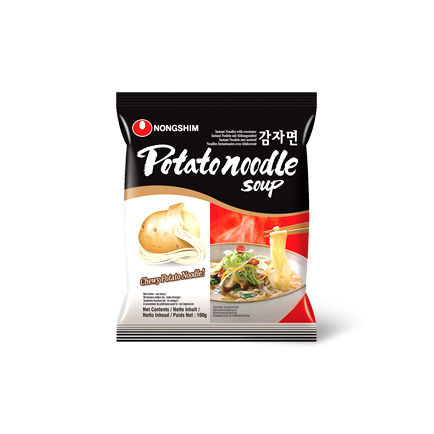 Big chunks of various dried vegetables such as potato and mushroom add flavor and a rich texture to the product. 1. Boil 450ml (about 1 3/4 cup) of water. 3. Remove from heat and serve.